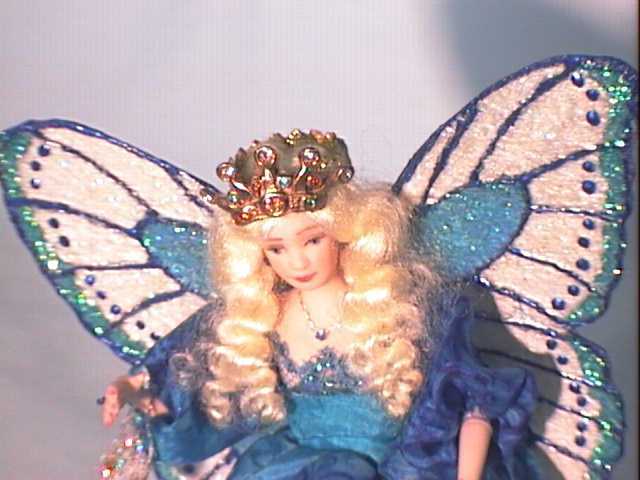 Fairy Princess Teala is dressed in her best formal silk gown and pantaloons. She is carrying her evening bag and is wearing her favorite princess crown and matching fairy jewelry in preparation for her grand entrance at the Fairy Ball! 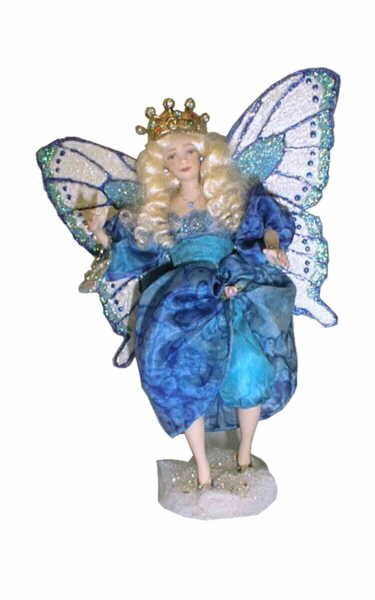 Her wings match her gown and jewelry right down to her tiny rosebud shoes! She is 6" tall and has a wingspan of 5". She is another beautiful creation of the artist joannj from Galleria d'Juliani, and is hand signed by the artist. There is only one Princess Teala in this whole wide world... and she could be yours... if you are the lucky winner!